A number of things were the root of inspiration for our idea. We enjoyed the popular game "Super Smash Bros" and wanted to create a similar feeling experience. We were also inspired by popular topics constantly discussed by high school students. 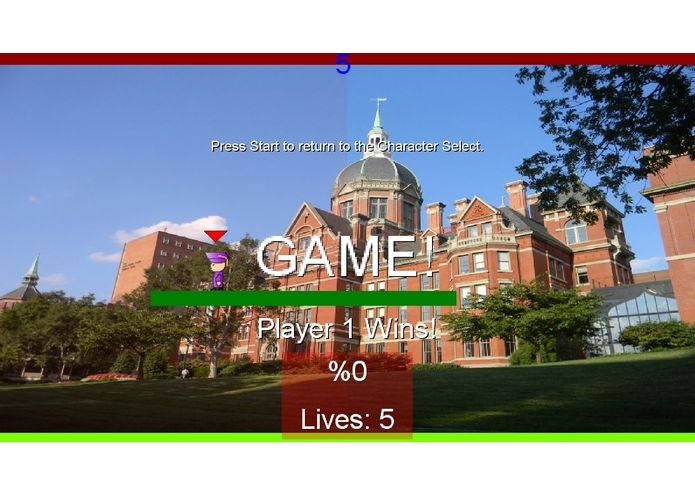 We thought that the idea of creating a game around the topic of college would be a fun and engaging concept for people to play. 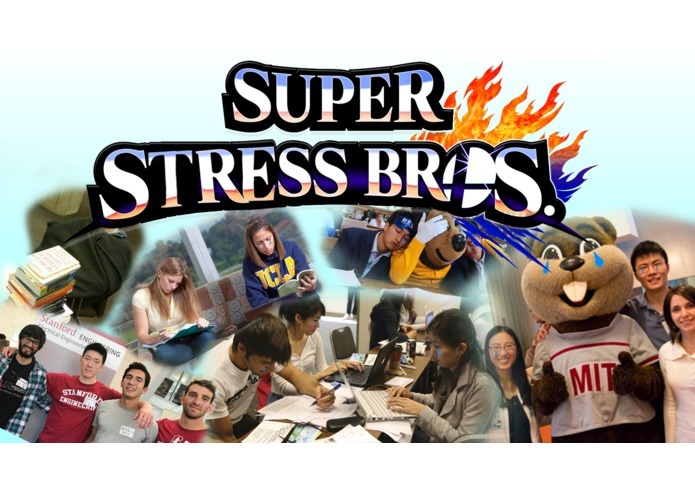 Super Stress Bros. is a four-player, two-dimensional fighter game in which the players must remain outside of one side of the level. The players must avoid the red-flashing rectangle and become the last person standing in order to win. Each player may increase their chance of winning by knocking other players out, either by knocking them off the stage or forcing them to get hit by the red-zone. We coded the entire game through the Monogame framework using the C# programming language. We used Visual Studios as our IDE and coded our entire game from scratch. A challenge we ran into was animating the player. It was difficult fitting each frame within the textures and turning them into different animations. We are very proud of what we have accomplished. Our finished game came out to be more fun than what we could have imagined. We are especially proud that we were able to create such a game in such a small amount of time. While developing this game, we also developed a greater understanding towards the MonoGame framework. Also, we learned a lot about the physics behind 2-D platforming games. We heavily researched the physics different games (such as Super Mario Bros and Super Smash Bros). We received a lot of inspiration from these games and attempted to implement the same strategies into our own game. After developing Super Stress Bros, our group decided that next time, we shall create a game that features online multiplayer, as well as a larger variety of playable characters. Developing this game has been a very valuable experience and we will be very excited to improve our current skills in terms of game development.